The way cities are being managed is headed for a revolution. City officials are employing many different types of technologies in order to make their cities operate more efficiently than ever. This "smart city" vision is one that is starting to gain more importance in our society with the advent of technologies that make everything in our lives easier. The vision of smart cities is to use innovation to create better quality and performance in every aspect of our lives. This is a vision that Projectmates shares with some of its prominent clients. Both city and state government institutions are replacing outdated systems and replacing them with new technologies that can streamline processes and improve communication within their organization. One of our newest clients, the State of Idaho, is a perfect example of government entity wanting for replace obsolete and inefficient systems to better coordinate all of their complex construction projects at every step of the process. Projectmates makes all of these goals easily attainable by offering government entities a wide variety of technologically advanced options that are easy to use but still drastically increase efficiency and help facilitate the movement towards utilizing smart city technology to make a better future for its citizens. A major component of smart city (government) technology is being able to access information faster and at the exact time that you need it (cloud based up-to-the-minute access for information). This is yet another smart city feature that Projectmates provides for all of its clients through the integration of the powerful software and dynamic mobile app for Apple and Android. The software and the app work together seamlessly to automate construction workflow processes and provide customers with real time updates and allowing owners to manage all projects at any time while increasing productivity and accountability. There have been recent attacks using ransomware on cities that have increased the need for enhanced security measures. Additionally, this reinforced security must continue to improve to keep up with any emerging threats in the future. Projectmates offers a risk-based security that is SOC 2 Type II certified. Projectmates also submits to annual audits to maintain that certification and ensure strong security for our clients, meaning that government agencies are more secure than ever with Projectmates. 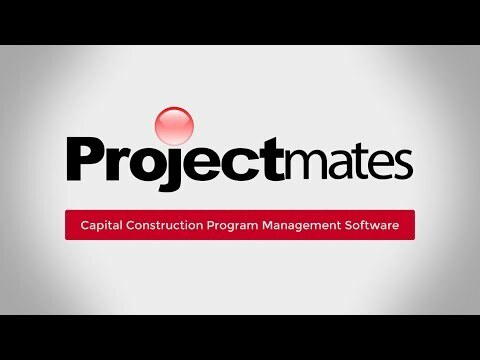 Projectmates is powerful enough to handle a multitude of projects concurrently and has over 100,000 projects. Our experts here at Projectmates also offer our clients a quick implementation process through the integration of our software with other software applications and systems as well as top notch training programs that can help you achieve all of your goals. The smart city revolution has already begun, and Projectmates has all the robust features and resources to be the catalyst for change. Projectmates offers the government industry expansive options in the digital age to increase efficiencies by harnessing smart city technology.